Today I am going to share with you my thoughts on the Clinique's Pop Liquid Matte Lip Colour + Primer lipsticks. 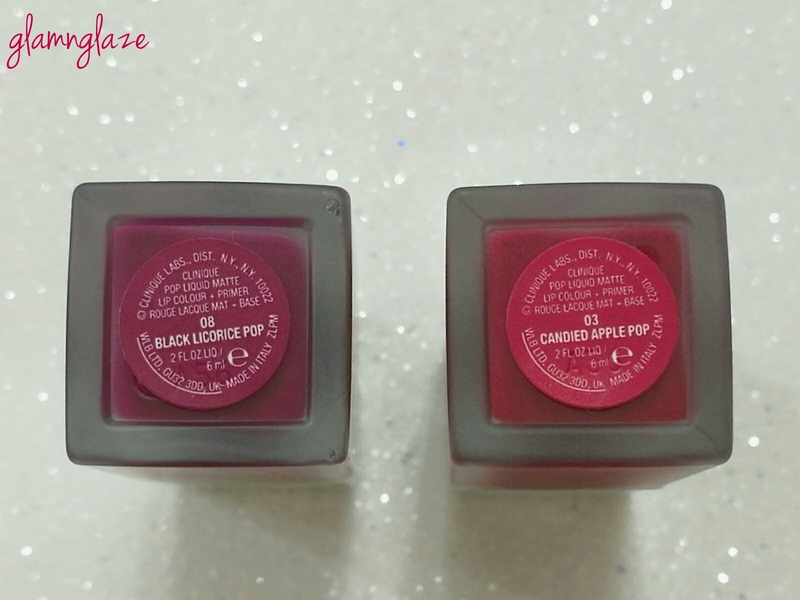 There are eight shades available and I picked two of them namely Black Licorice pop & Candied Apple Pop. Clinique Laboratories, LLC (/klᵻˈniːk/) is an American manufacturer of skincare, cosmetics, toiletries and fragrances, usually sold in high end department stores. It is a subsidiary of the Estée Lauder Companies. 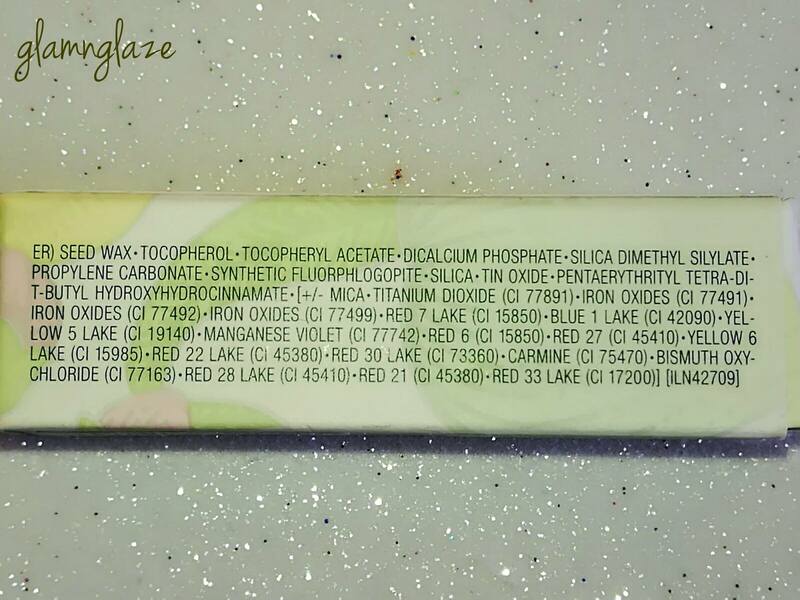 About Isododecane:It is important for those who use makeup products to know what ingredients are contained within them, and a common substance that is often found in many cosmetics is isododecane. This ingredient is an emollient and is often added to products such as mascara, lip gloss, and eyeliner to keep them soft, with the ability to spread easily on skin. 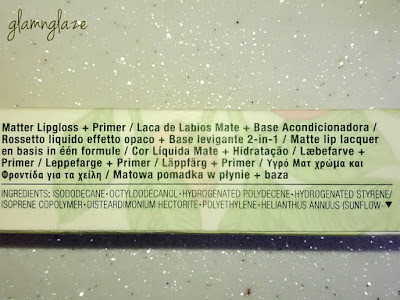 Isododecane is used in many different cosmetic items because of its low instance of side effects and because it cannot be absorbed by the skin, and therefore lacks the ability to elicit significant irritation. 08,Black Licorice Pop: Purplish-pink or berry pink with heavy purple undertones.I love how nice it looks on the lips.It's not for everyone.If you do not like vampy or dark shades then I suggest skipping this shade.But,if you are someone who loves luscious deep-berry shades on the lips then you will like it to the bits just like me! 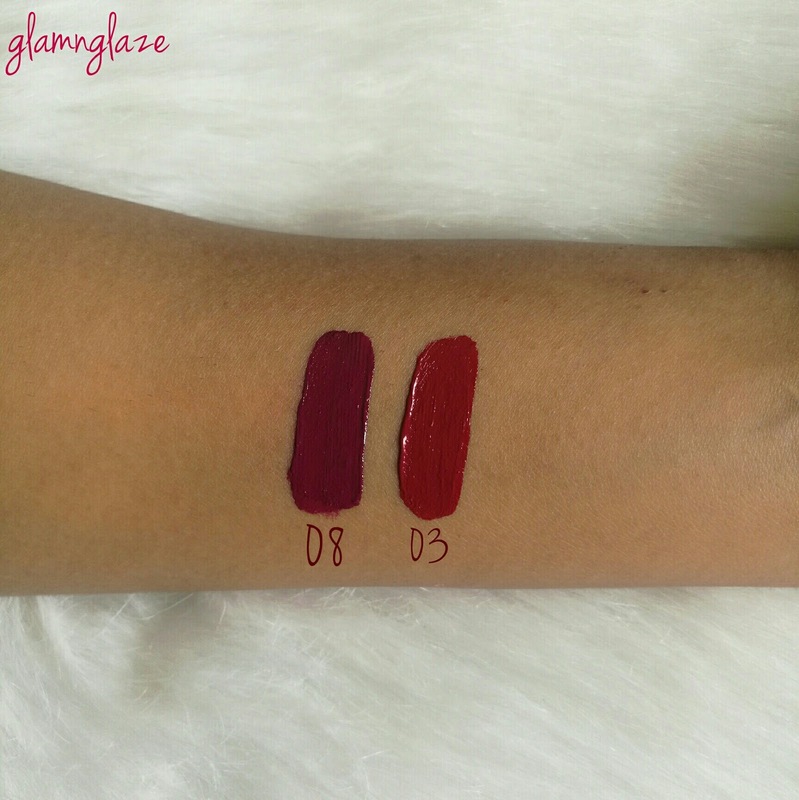 This shade will suit medium to dark complexions very well. 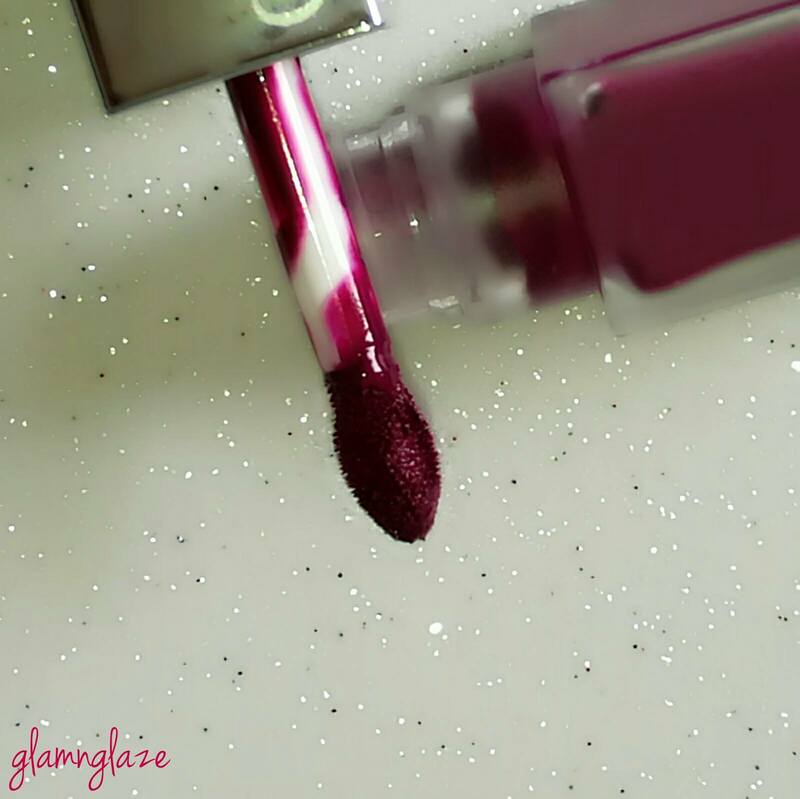 03,Candied Apple Pop: It's truly a blue-toned red shade.It's awesome and will suit all the skin tones.Perfect for parties and functions.I like wearing red lipsticks anytime though! The packaging is cool in my opinion.The outer packaging is so refreshing.It's a white cardboard that has green leaves or grass-like strips all over it.I love it. The shade name.number,quantity,shelf-life,ingredients are mentioned on the outer packaging of the product.Also,on the head of the outer-packaging the shade number and name are mentioned.It comes in very handy in case you have more than one lipstick from the Pop Liquid Matte Lipstick collection. Coming to the actual product,it comes in a frosted,transparent arcylic tube and has a silver,reflective twist open lid.The packaging looks classy and will look nice sitting in the vanity. 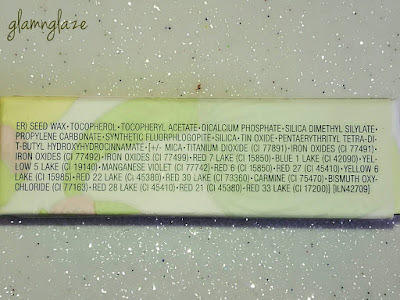 The shade name and number are mentioned at the bottom of the lipsticks.We can easily check out the shades in case we have more than one shade with us.Sturdy & travel-friendly packaging...I must say.The applicator is flat-foot,kind of oval-shaped sponge applicator.It is of apt size and gives full control while lining-out the lips closely. 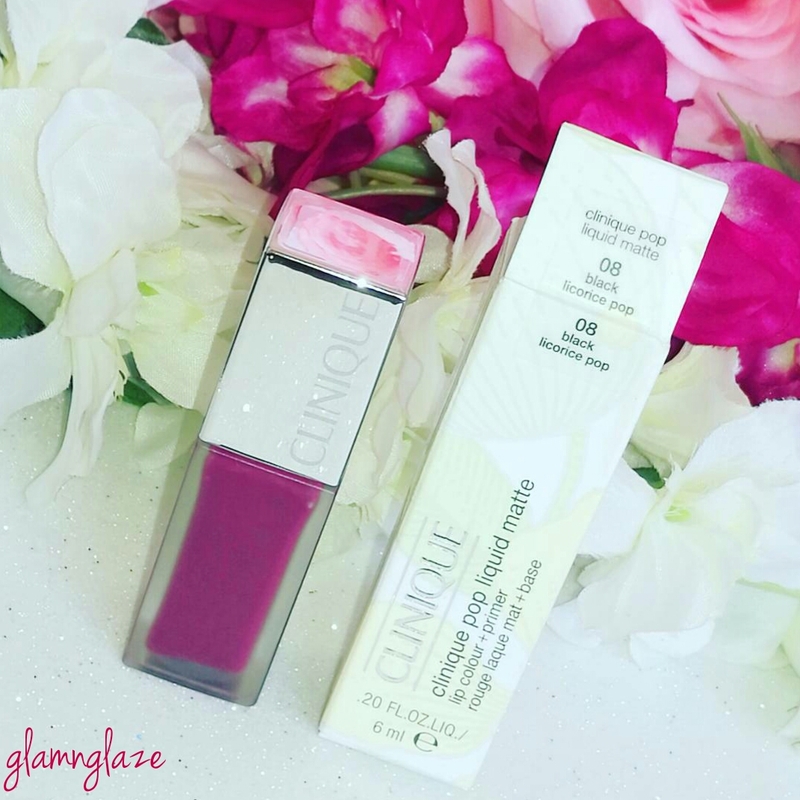 Lips look silky smooth all thanks to the key ingredient-sunflower wax! 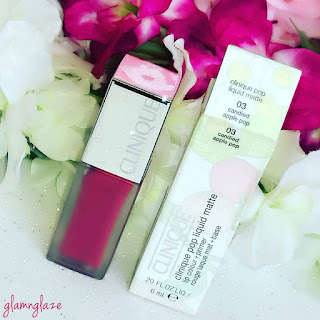 Quantity is more than any normal liquid lipstick that we get.Like usually we get about 3-8mls.Clinique is offering 6ml of the product so,it's cool. Fragrance-free.It's cool that the lipsticks in the Pop Matte Liquid lipstick range do not have any fragrance at all. The lipsticks in this collection have an average staying power of about four to five hours(max). 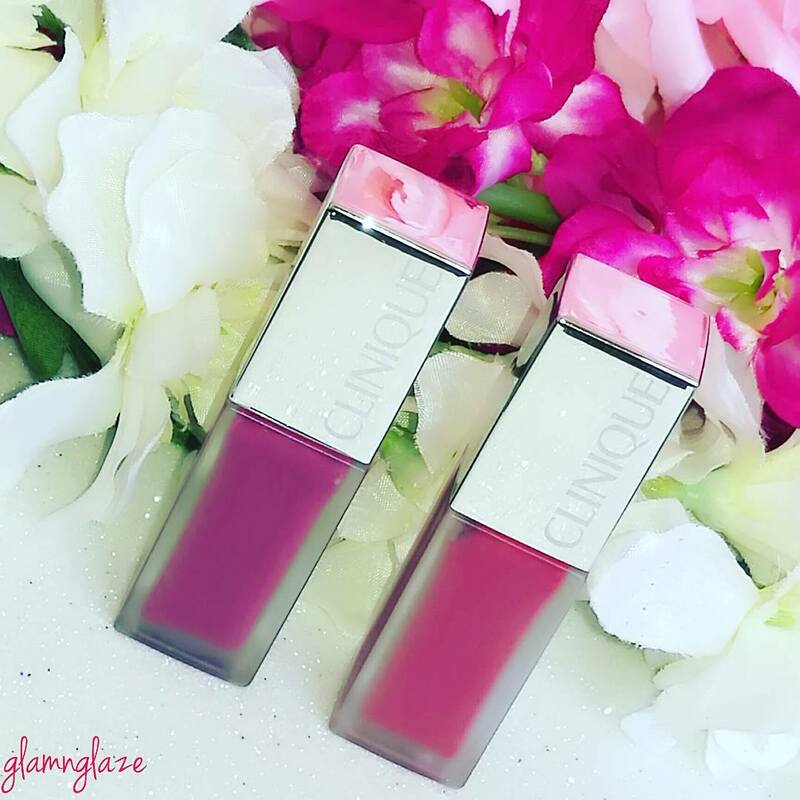 As these lipsticks have a velvet-matte finish these don't really survive heavy meals.The lipstick goes away from the center of the mouth and you will definitely need to do a touch-up. In case you don't eat oily or greasy food then the lipstick will stay on the lips for about 5-6 hours(depends) and then fade away evenly leaving a stain behind on the lips and you actually don't need to do a touch-up as such. Some people might find the price to be steep.I am ok with the price point it though. Overall,I would say that the lipsticks in the Pop liquid matte lipsticks are very comfortable lipsticks with a velvet-matte finish.These lipsticks stay for about four hours.There are eight vibrant shades in this collection.I am loving the shades that I have picked!I have no issues re-applying the lipsticks after a meal so,these lipsticks are definitely a hit for me.I highly recommend that you check once the shades and I am sure you will like the shade range , the formula and the comfortability that these lipsticks provide. Have you tried these lipsticks?What is your take on these lipsticks?Do you like touch-ups? 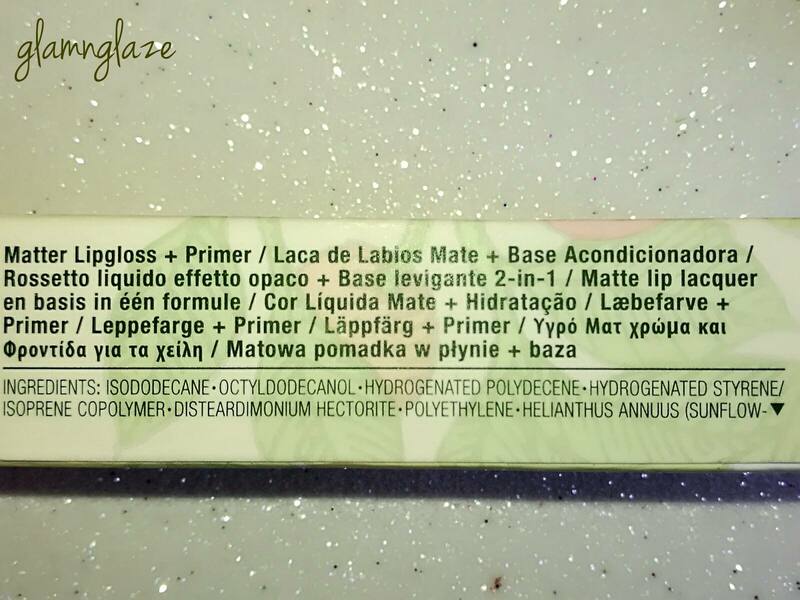 Tip : Always exfoliate the lips before applying any lispick and specifically a liquid matte lipstick!